Blumhouse has a couple of sequels coming our way next year that have already been filmed. 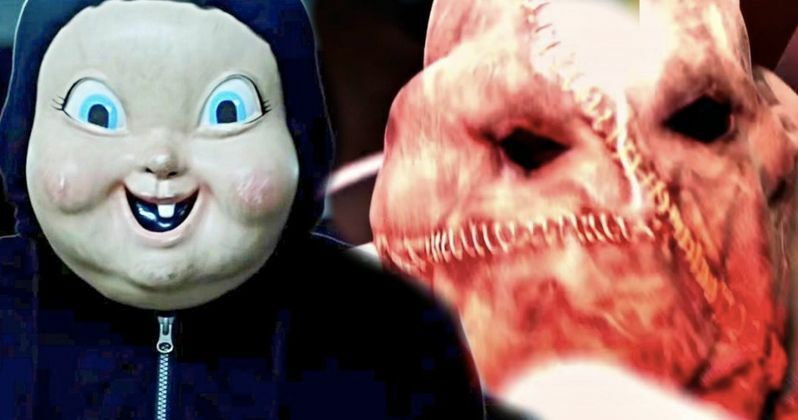 Studio head Jason Blum provided an update on the status of both Happy Death Day 2 and The Gallows Act II during a recent Twitter Q&A. Not only have these movies been filmed, but Blum has actually already seen Happy Death Day 2 and claims that it's quite good. It's not as though Jason Blum is going to trash talk one of his studio's forthcoming releases. Despite that, he has seen Happy Death Day 2, which began filming in May, with director Christopher Landon and star Jessica Rothe both returning, and had a kind word to share. The studio apparently made quick work of it. Given Blumhouse's very successful business model of making movies for very small budgets, that's not too terribly surprising. When asked for an update on the status of the sequel by a fan during his Q&A, Blum had this to offer. "Some of us saw it and it's good." Last year's Happy Death Day pretty much took the basic concept from Groundhog Day and gave it a slasher twist. The movie was a huge success, bringing in $123 million worldwide working from a tiny $4.8 million budget. As such, the studio was quick to greenlight a sequel, which reportedly takes some inspiration from Back to the Future and picks up right where the first movie left off. At the time being, there is no release date set for the sequel but we should expect it in theaters sometime in 2019 since it's already in the can. Moving onto The Gallows 2, it was reported in July that the MPAA had already rated the movie. So the cat was out of the bag in terms of that follow-up having already been shot in secret. The movie stars Ema Horvath, Brittany Falardeau and Chris Milligan and apparently was already testing in 2017, so this thing has been done for quite a while and is titled The Gallows Act II. Someone asked Jason Blum when the movie will actually be released and, even though he didn't give a specific date, he did give us a rough timeline. "Within next 9 months I believe." The Gallows was tremendously successful when it was released in 2015, having grossed $43 million worldwide working from a ridiculously small $2 million budget. That makes the movie's 16 percent approval rating on Rotten Tomatoes pretty much irrelevant. There's money to be made here. The follow-up reportedly centers on an aspiring actress, played by Ana Rue, who transfers to a prestigious new school where her desires are twisted by a viral challenge capable of conjuring a malevolent spirit. It looks like Blumhouse has a couple of new franchises on their hands, adding to their already amazing success rate. You can check out the responses from Jason Blum's Twitter account for yourself below.